Italy Mulls Tax on "Unhealthy Drinks"
ROME – Italians could soon be paying an extra tax when buying beverages, as the government looks to boost its budget and to increase funding to the health sector with a new tax on unhealthy drinks. 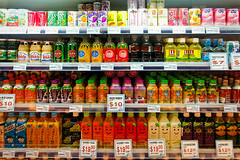 In a statement released on August 27th the Ministry of Health of Italy revealed that it is investigating the feasibility of instating a new tax on beverages deemed to be unhealthy, in an effort to improve the health and lifestyles of the population of the country and in an attempt to boost government tax revenues. If implemented, the tax on unhealthy drinks would be charged at EUR 0.03 per bottle, and would raise an estimated EUR 250 million per year in extra tax revenues. The Health Ministry is scheduled to decide by the end of the week whether it will go forward with its proposal to introduce the new tax, and is expected to put forward a bill in front of the Italian cabinet as soon as a decision is made. In a newspaper interview shortly after the announcement, the Health Minister of Italy Renato Balduzzi said that the Ministry will gauge public reaction to the proposed tax before proceeding with any changes. Explaining the rationale behind introducing a tax on unhealthy drinks, the Minister said that the revenues raised from the tax could be used to fund the public health system, and to reduce the budget deficit and to help lower then national debt. Spain is not the first country in Europe to introduce a tax on unhealthy drinks, as last year the government of France also introduced a similar tax in an effort to stem the country’s growing obesity rate, and the tax is expected to raise over EUR 280 million in extra tax revenues in 2012.